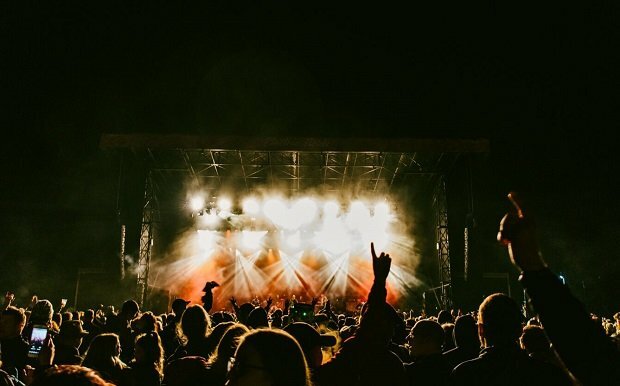 Back for its sixth year and stronger than ever, Electric Fields has revealed its first wave of artists for the 2019 festivities. The Scottish Borders will this year reverberate with the sounds of headliners Metronomy, Frank Turner & The Sleeping Souls, and The Vaccines. Tickets are on sale now. The three-day festival, which runs Thu 4–Sat 6 July, takes place in the glorious setting of the 17th century Drumlanrig Castle in Dumfries and Galloway. The festival is renowned for its chilled out atmosphere and family-friendly vibes and continues to bring collection of fantastic musicians to a pocket of idyllic Scottish countryside. Mercury Prize nominated mavericks Metronomy continue to delight audiences with their enigmatic live show and distinctive take on nu-disco pop, Frank Turner & The Sleeping Souls are sure to rouse the EF19 crowds with their big-hearted anthems and celebrated rockers The Vaccines are no strangers playing to playing sellout crowds across the world with their infectious riff laden music. Also making the first wave of artists are Sleaford Mods, Friendly Fires, Fat White Family and Nadine Shah. A Scottish festival needs a sprinkling of Scottish talent and Electric Fields are bringing just that. A selection of up and coming musicians and artists make the bill, including: Free Love, Heavy Rapids and Onr. Sneaky Pete's return to Electric Fields with their curated lineup of electronic goodness, while Edinburgh's spoken word collective Neu! Reekie! also return. Electric Fields runs from Thu 4–Sat 6 Jul. Tickets are on sale now. Lineup highlights include Noel Gallagher's High Flying Birds, Public Service Broadcasting, James and Young Fathers.